"Staff was very helpful. Dr. Guram was caring." "Everyone was very friendly and my Doctor was just wonderful." "Staff is always courteous. Highly recommend." "My experience with Dr. Guram and his staff has been nothing but positive." "I love him! He's an excellent doctor and always has my best interest in mind." "Dr. Guram and his staff are amazing! Best doctor I have ever had." "Excellent service. Love the doctor and staff. Thank you." Maninder Guram, MD, offers his expertise as a gastroenterologist to the Tomball, Texas community at Texas Gastroenterology Associates. Dr. Guram holds a diploma in gastroenterology and hepatology, with specialized training in internal medicine and age management medicine. As a gastroenterologist, Dr. Guram is an expert at diagnosing and treating conditions that affect any part of the digestive system. He regularly addresses conditions such as acid reflux, Crohn’s disease, and ulcers. Dr. Guram believes that an involved patient is a patient with better outcomes. He gives each patient a vital role in their recovery by allowing them to set their goals and commit to treatment. He also maintains open communication with them. In that way, every treatment plan is tailored to the patient. Dr. Guram also believes firmly in preventive medicine. He knows how much diet and exercise do for the body and how correcting hormonal and metabolic imbalances promotes health. He takes particular interest in obesity management, weight loss, and metabolic disorders. 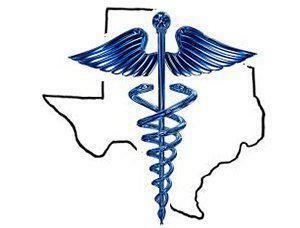 Texas Gastroenterology Associates accepts most major insurance plans. Please contact us if you do not see your insurance plan listed. "Dr. Guram performed two endoscopies concerning bleeding ulcers. Both times were flawless, no side effects, not even a sore throat. Wonderful physician." "I have always had a good experience at Dr. Guram's office they have very friendly staff and treat me well." "I would highly recommend Dr. Guram! He patiently listened to all of my concerns. I give you an A+ Dr. Guram for best gastroenterologist!" "I always have a pleasant experience. The check in is quick. The front desk is great. When I call the office for anything everyone is helpful and patient." "The doctors and staff are wonderful!! They are very informative, empathetic and don't keep you waiting. Dr. Guram was very kind, great bedside manner." "I really like the people and the Doctors! So attentive and remember you at every appointment. They make me feel comfortable and cared about!"